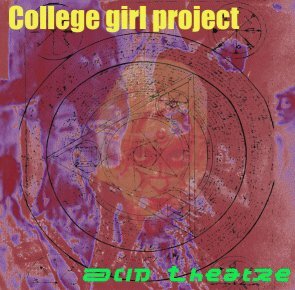 College Girl Project: the collaborative fusion between Skinflick (Justin Williams) and Dada Beatnik (Phil Beauvoir). Caught between the wastelands of Skinflick’s Industria and and Beatnik’s Electronic Magika, these three pieces are presented here for your enjoyment. Originally recorded in the summer of 2000. 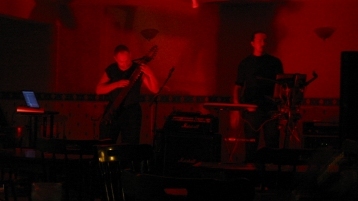 Collaboration between Skinflick and Dada Beatnik has been ongoing since the early 1990s when they played together in the noise punk-funk band “Bleat”. Live gigs usually resulted in them being banned for being too loud, aggressive, obnoxious and destroying amplifiers. The energy was good. Other works have been performed live together.